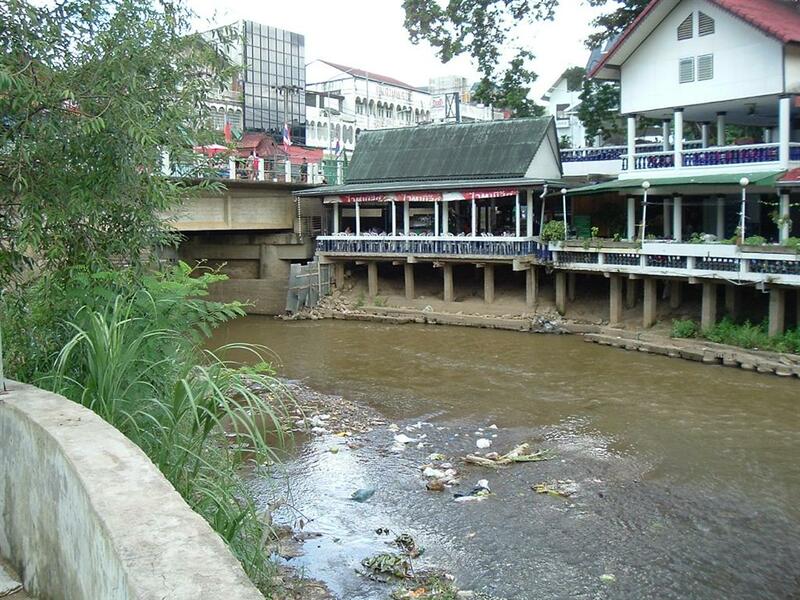 The Mae Sai River. 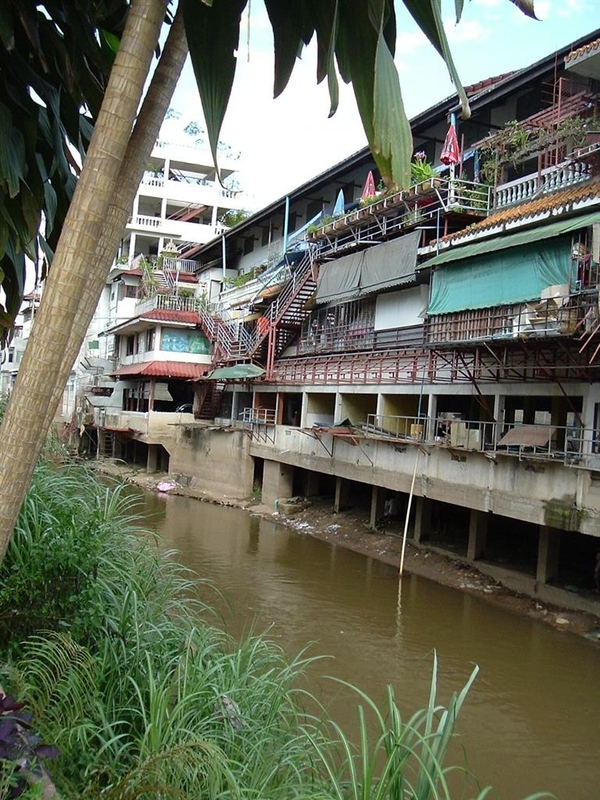 I'm standing in Myanmar looking into Mae Sai, Thailand in both pictures. 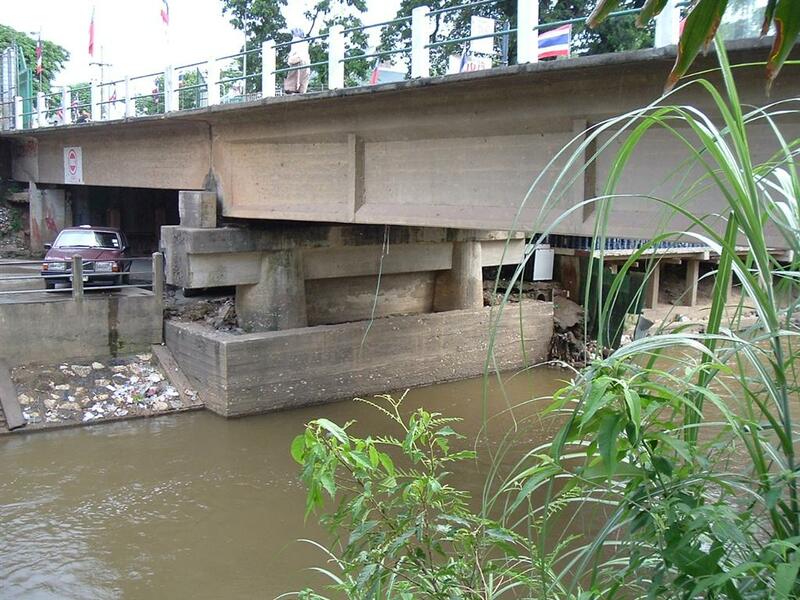 Under the border bridge, looking across to Thailand. 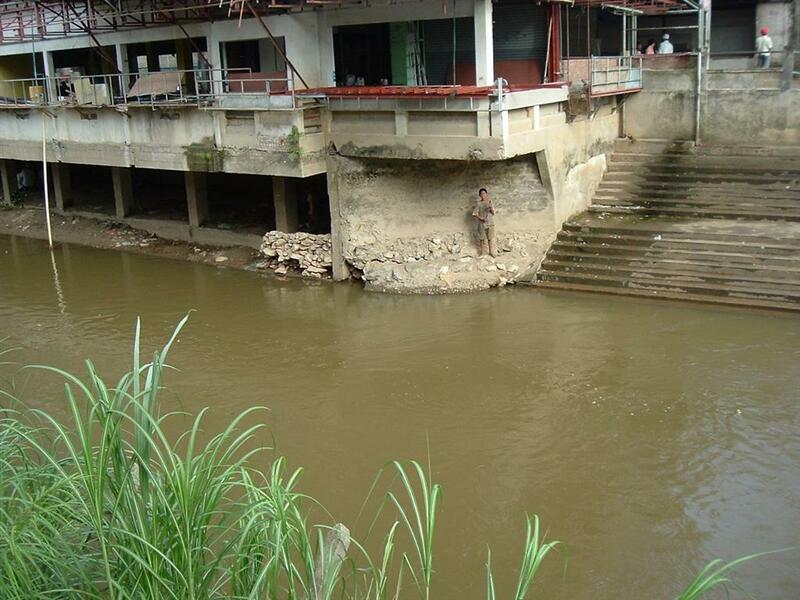 No indications on the sides or under the bridge of a border. 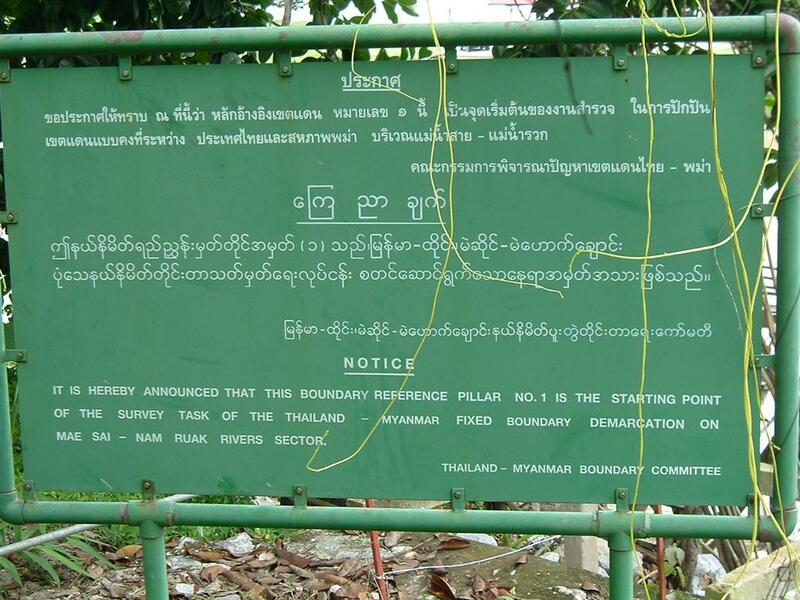 Right picture--barbed wire fence on the shoreline in Myanmar. 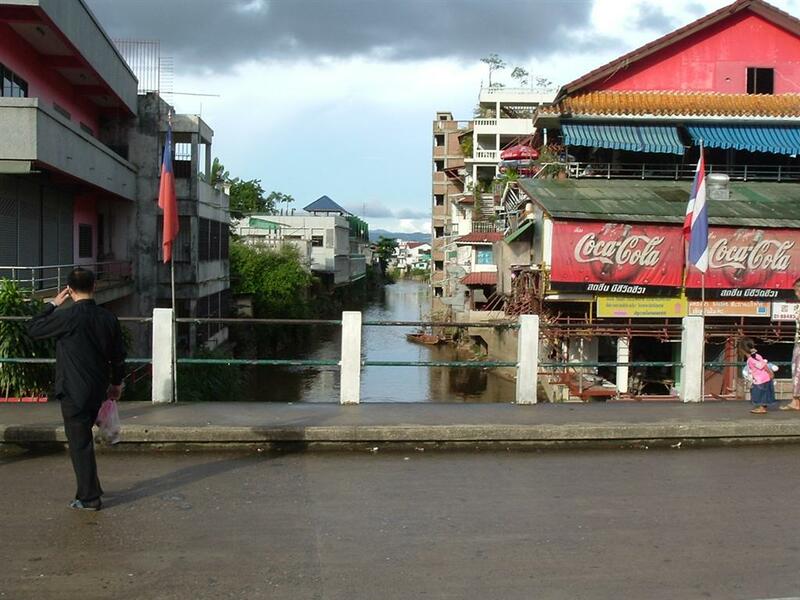 Looking into Thailand from Myanmar in both pictures. 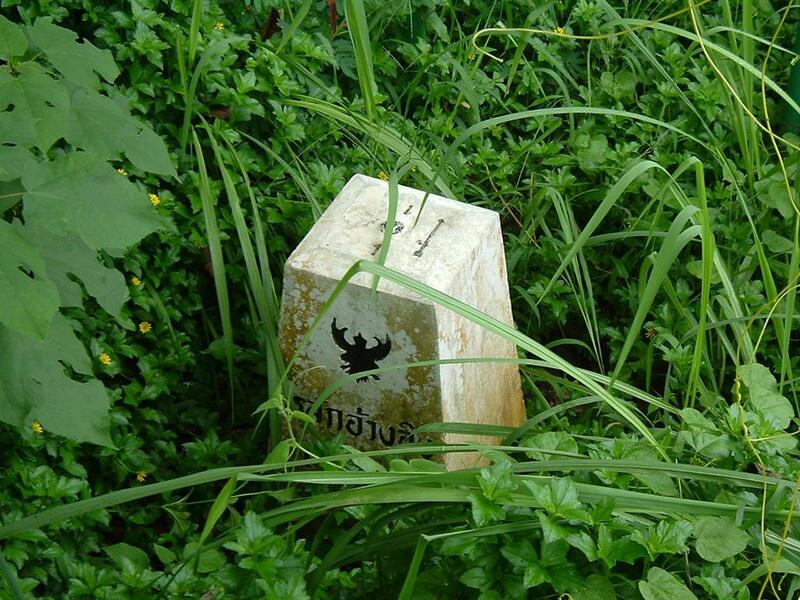 This is obviously a border reference marker, as it is about ten meters from the actual river bank. Quite new, too--notice the date on it. 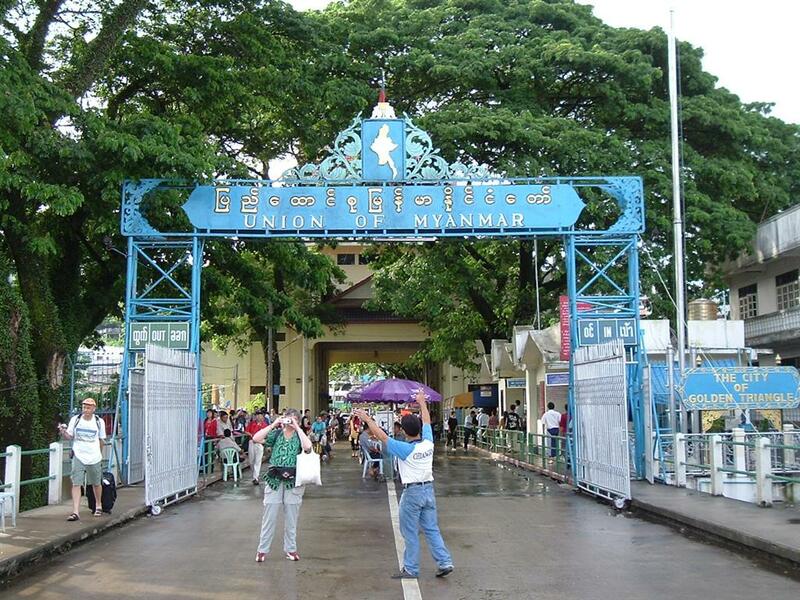 Picture on the right is the welcome to Myanmar gate on the bridge. 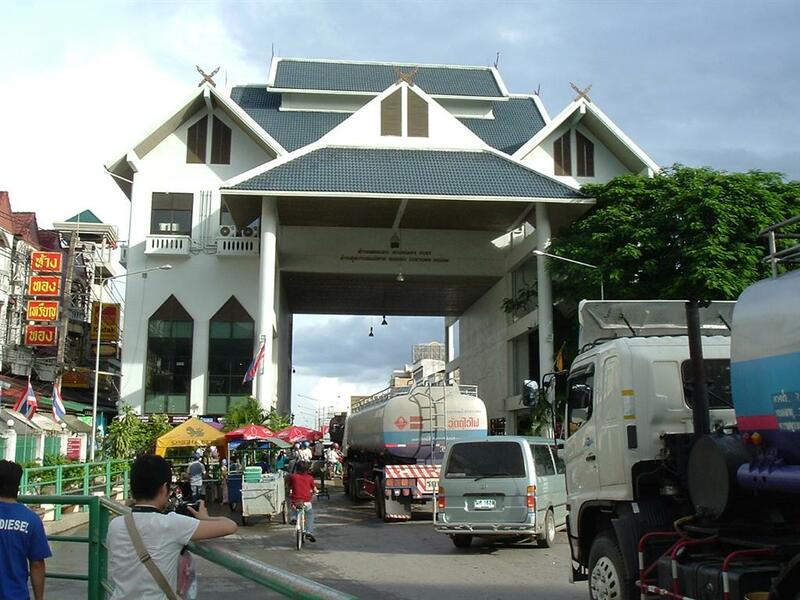 Looking into Thailand--this building is the Thai customs and immigration. 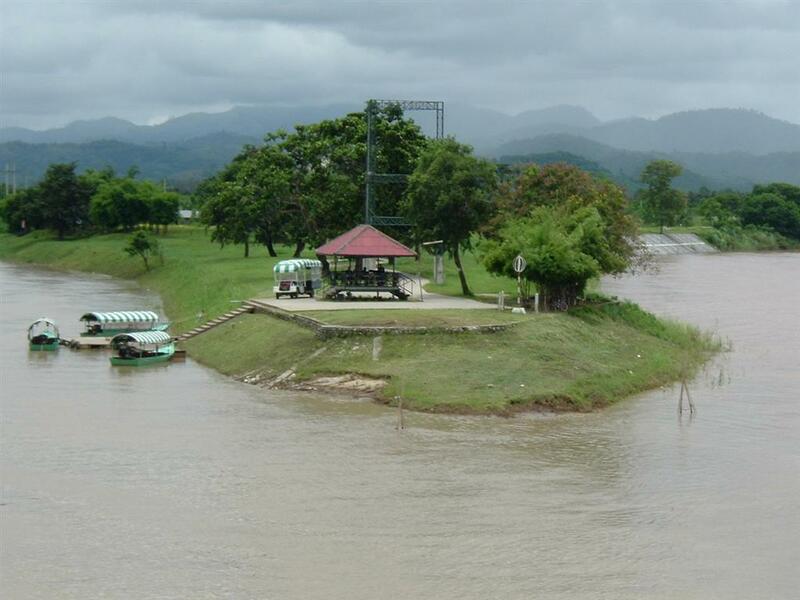 The picture on the right was taken as I was standing in the middle of the river; Thailand is on the right, Myanmar on the left. 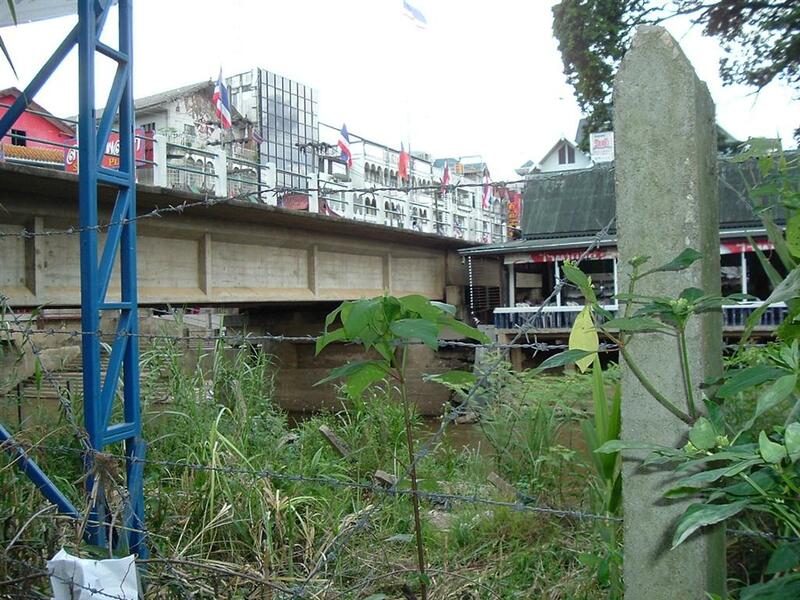 There is no indication on the bridge of pavement change or of the border, except for the two different flags about two meters apart. 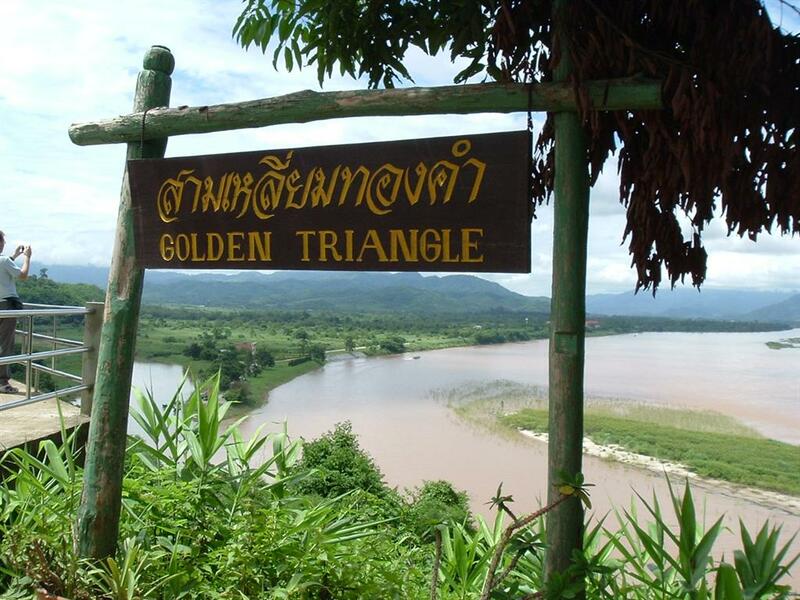 Two different signs of the Golden Triangle--the tripoint between Myanmar, Thailand and Laos. 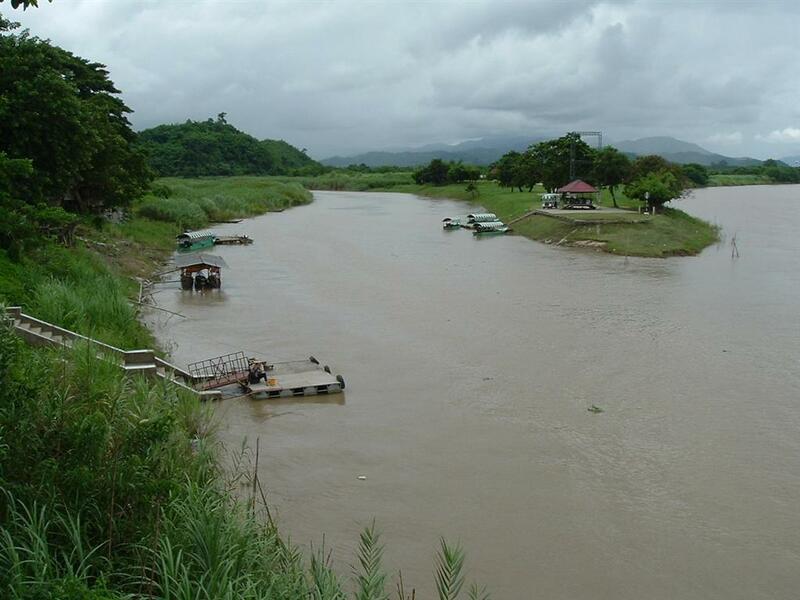 In the left picture, I believe the boat closest to me is right on, or VERY near the exact tripoint/confluence. 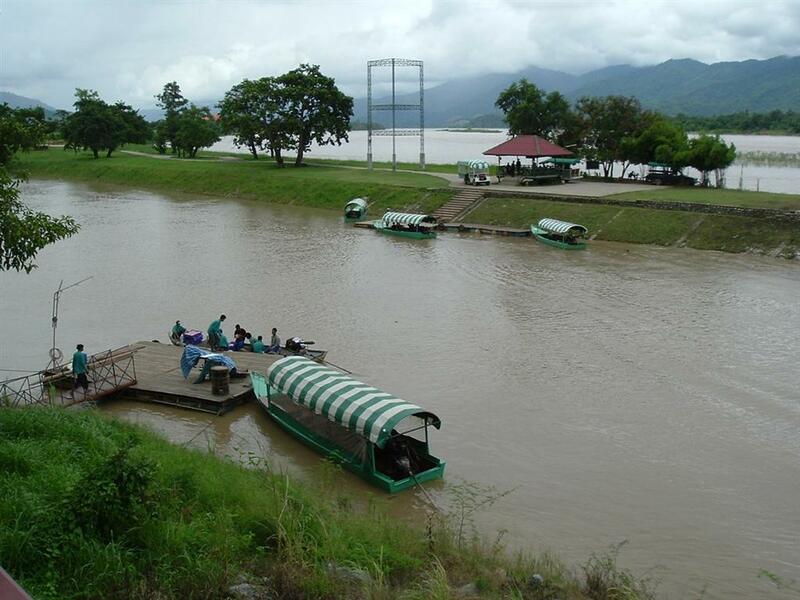 The island, apparently is in Laos, but I'm not sure, as it is in the middle of the Mekong. 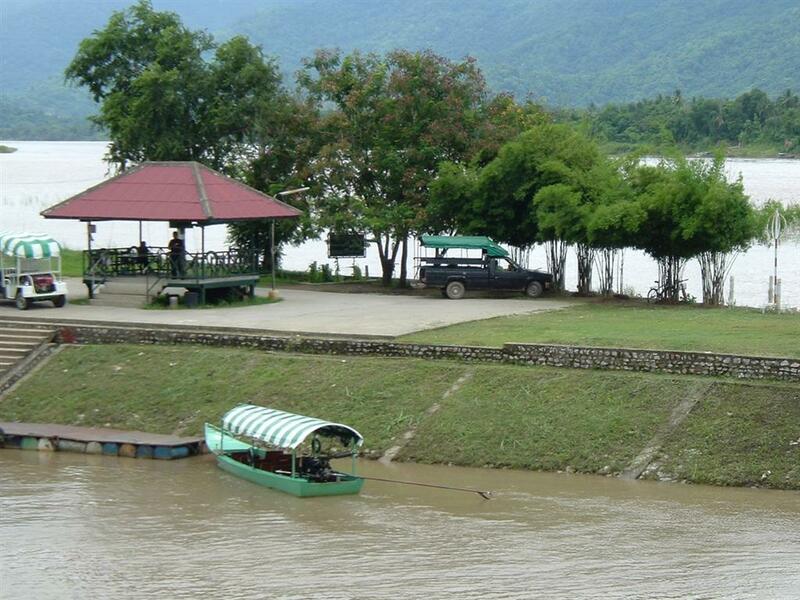 A good view of the mount/delta of the Mae Sai River. 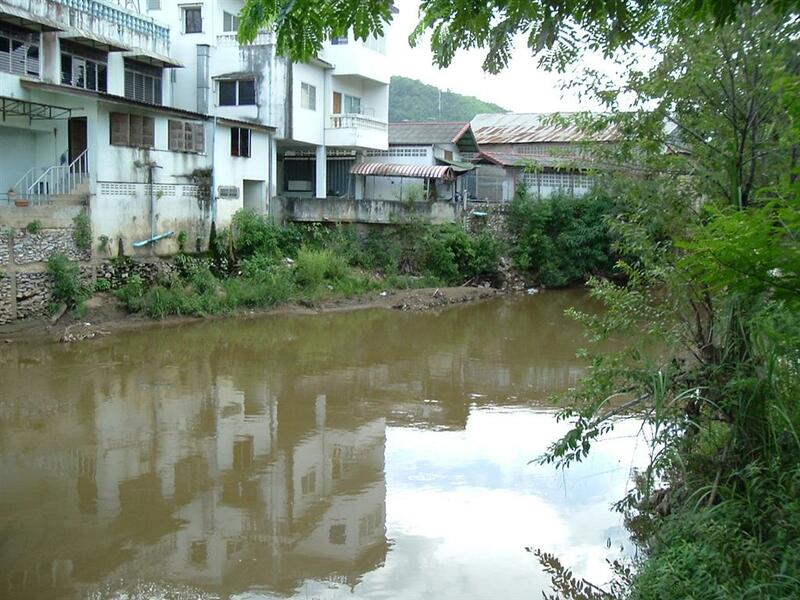 Mae Sai River on the left, a little spit of Myanmar in the middle and the Mekong on the right. 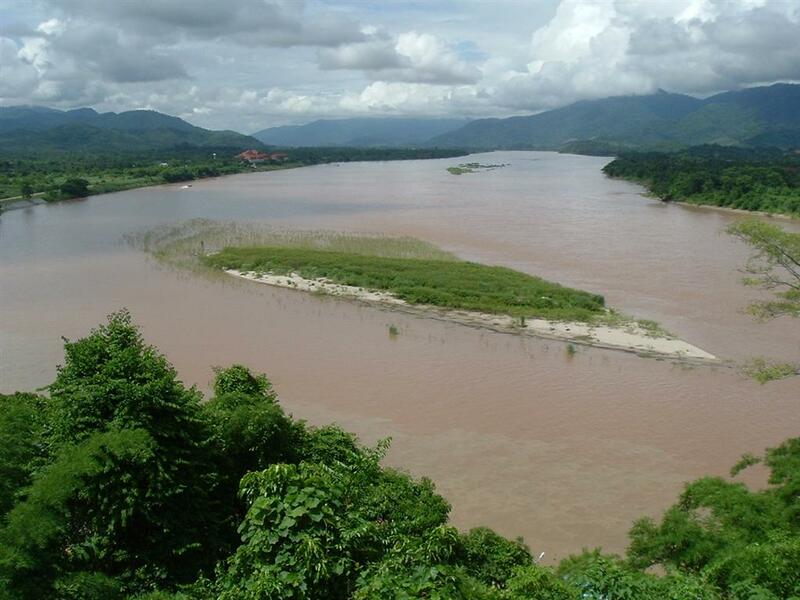 The right picture is a closer view of the Myanmar territory and confluence of the two rivers. 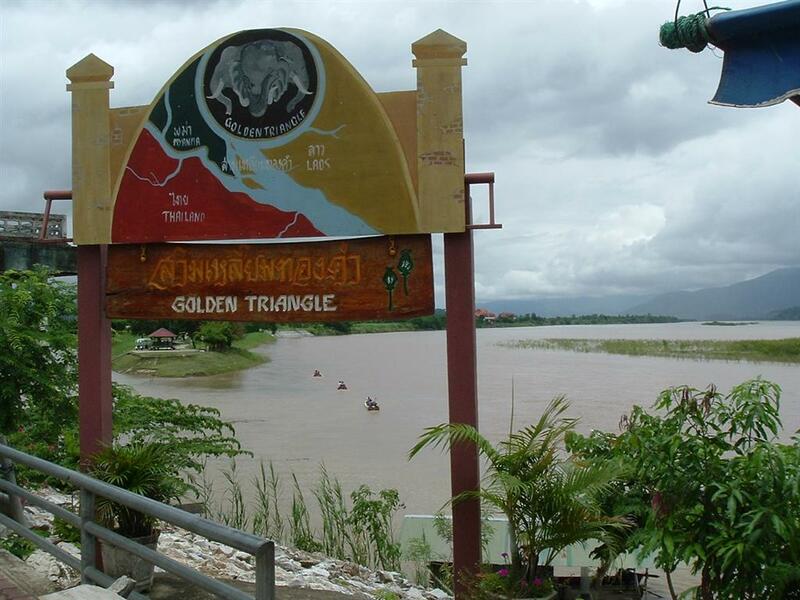 This is the reference marker erected on the Thai side of the Mae Sai River near the mouth, just to the left (west of the first boat in the picture above). 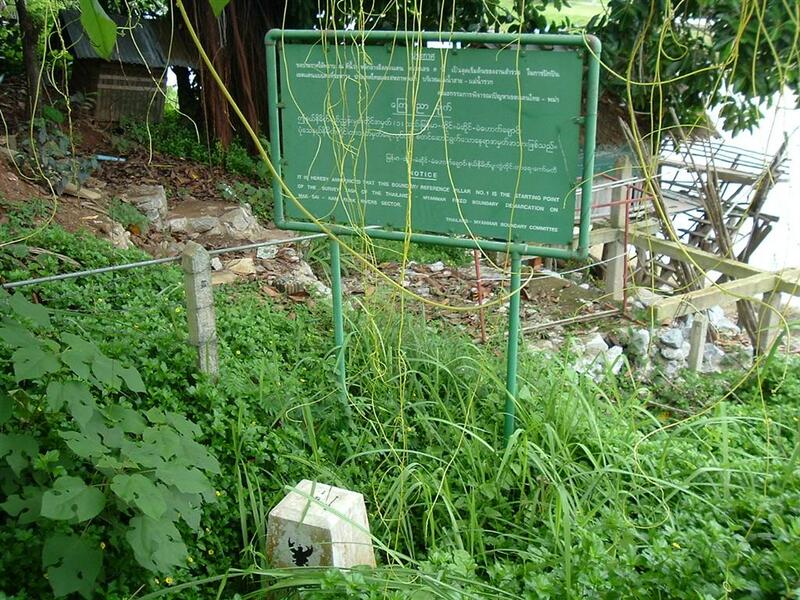 The sign stands above the marker and tells what it is. The position of the sign in relation to the border marker. 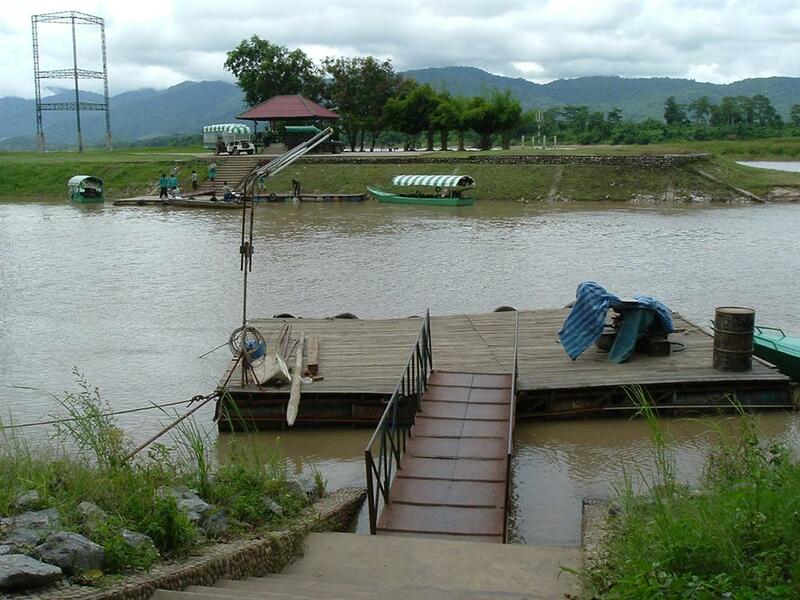 The second picture is the Mekong with Laos on the right, Myanmar on the left, and Thailand in the foreground. 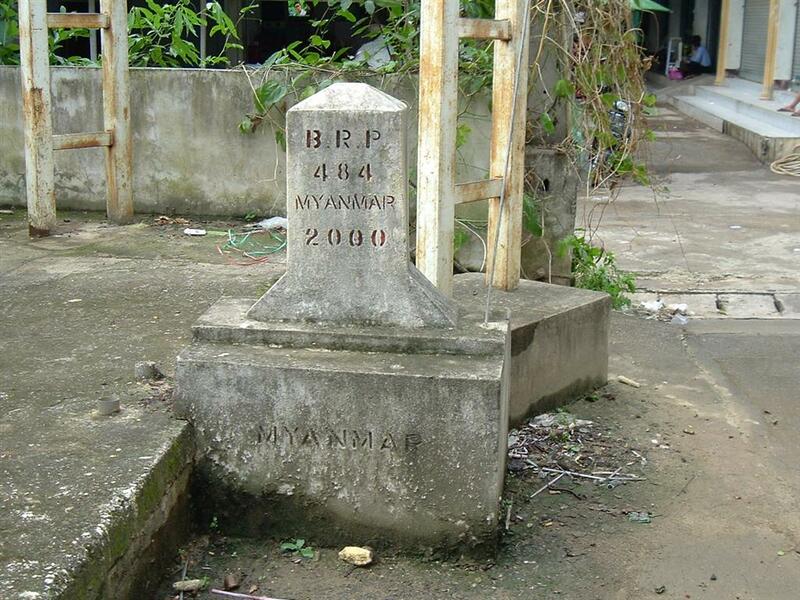 The Myanmar border checkpoint on the little peninsula. People taking bread across from Thailand to Myanmar where a new casino/resort has just been built. Three countries in one--mountains and trees in distance are in Laos, in the middle the small peninsula is Myanmar, and in the foreground is Thailand.